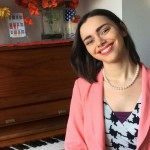 Nicola Cantan is a piano teacher, blogger, author and creator of teaching resources. Nicola runs a highly-successful blog for both her own piano studio and to support teachers around the world. She is a superstar problem-solver, writer and resource creator. Nicola started the Vibrant Music Teaching Library to provide teachers with an easy way to use games and other fun lesson activities to their full potential. She imagined an easily sortable music teachers’ library where you could find the perfect printable to make your lessons sparkle each week. Become a member today and join Nicola on her quest to gamify music learning.